This is ranked as one of my TOP desserts. It’s minimal, super easy to make, the ingredients are pronounceable and it’s CHOCOLATE - a girls favorite! This recipe comes in handy whenever my chocolate cravings hit. And this dreamy dessert is a much healthier option than most! 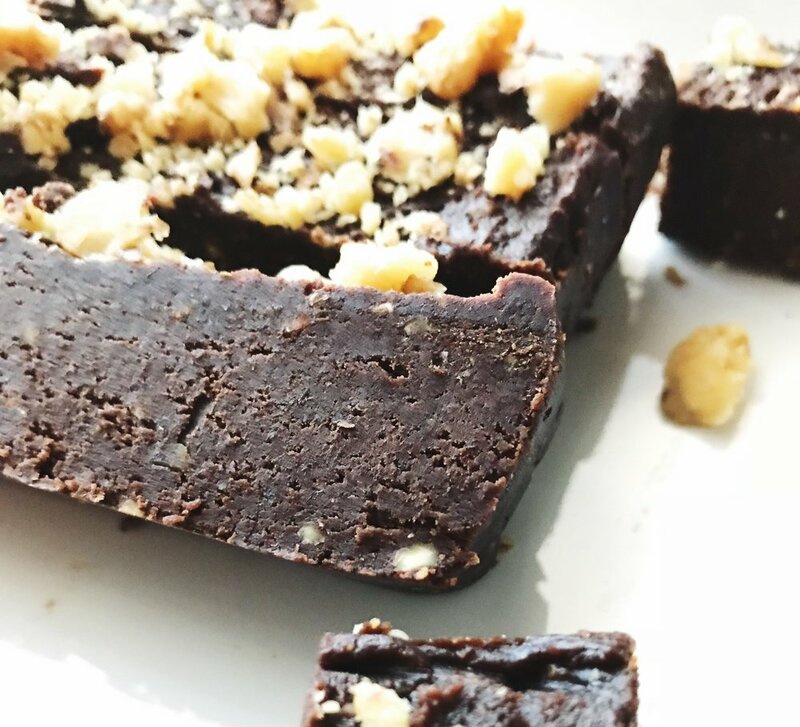 It’s literally nut butter, dark (vegan) chocolate, more nuts, and yeah! So feel free to indulge just a wee bit. Also, I love the fact that I can just whip this up in no time, thanks to the short ingredient list and no baking involved! It’s recommended to enjoy them in bite-sized squares, because these bad boys are rich! In a food processor, combine all the ingredients, except the topping, and process until smooth. Line a small / medium sized container with parchment paper and spread the mixture in the container. Sprinkle with the topping, cover and refrigerate overnight (or chill for at least 2 hours in the freezer). Serve frozen or thawed, depending on your preference.